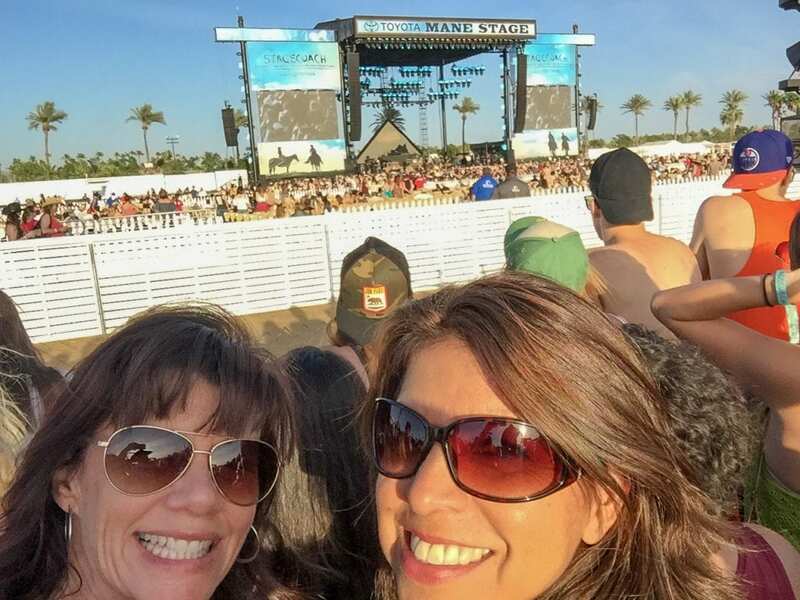 The Stagecoach Music Festival is coming April 27 – 29 and it will be the perfect girl’s getaway. Sure, you could take your husband or your kids, but why would you want to do that on a girl’s weekend? 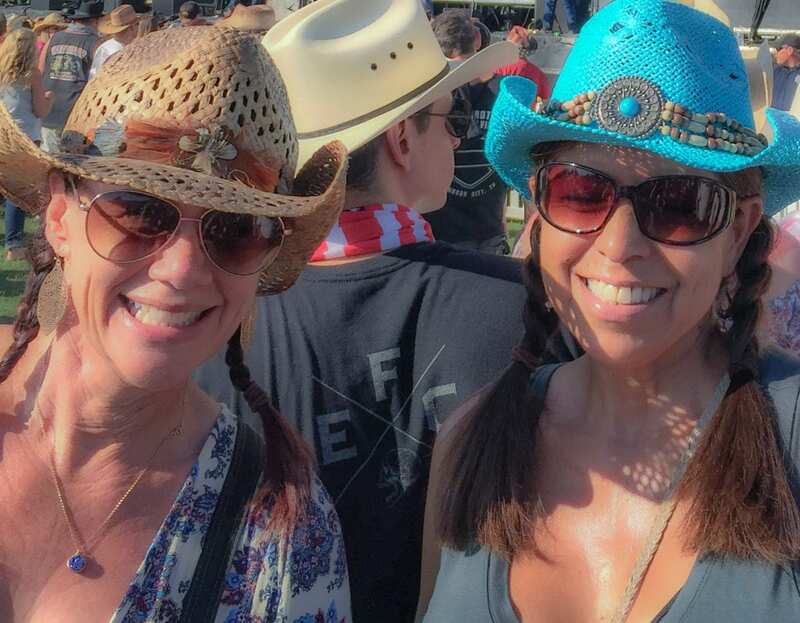 The last five years I’ve attended Stagecoach with my best friend (this year will be six!) so I will share with you how to make your Stagecoach experience the absolute best it can be. 1. 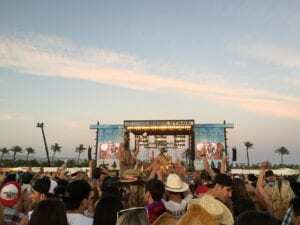 First and most importantly, Stagecoach is a three-day music festival (Friday – Sunday), but plan on coming home Monday, because Garth Brooks will be singing his last note at eleven o’clock on Sunday night and you don’t want to drive home after that. Even if you live nearby, Stagecoach is going to make you feel like you need a vacation from your vacation. So if you’re staying in a hotel or AirBnB, sleep in, spend a few hours by the pool, head home in the afternoon and order pizza for dinner (because you ain’t cooking). If you live locally: sleep in, go have some brunch, take a nap, and then order that pizza for dinner (because you ain’t cooking either). 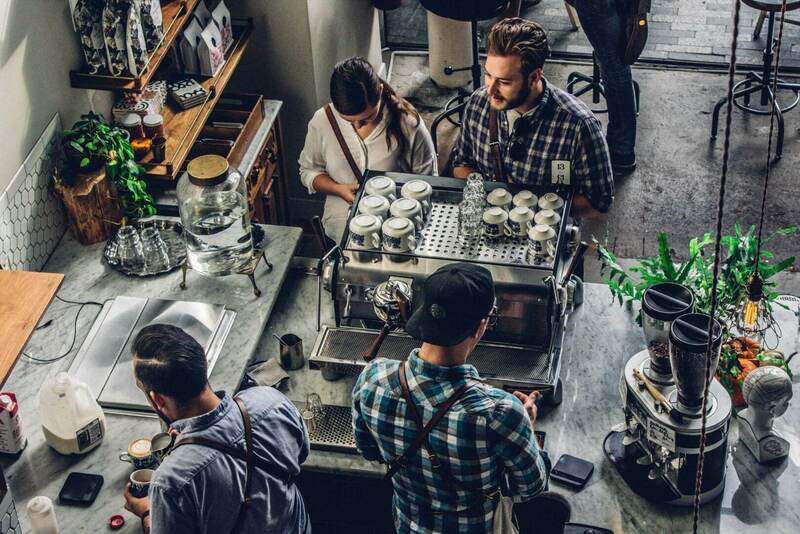 Just whatever you do – do not go back to work on Monday. 2. What to wear. 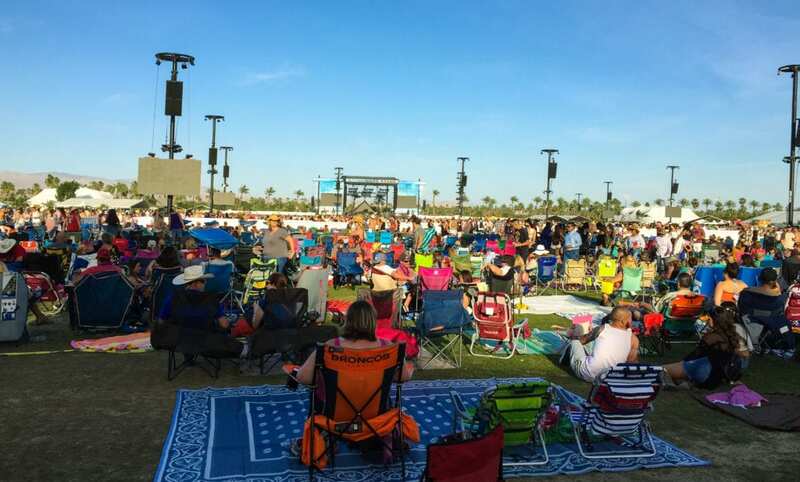 Stagecoach isn’t Coachella, but it can still be a bit of a fashion show. Here’s my advice: wear something you like that makes you feel good about yourself, but don’t wear your favorite outfit because it’s super dusty (more on that below), and while dust probably won’t ruin your clothes, they will definitely not look as fresh at the end of the night. Especially if you wear something white. (For the love of all that is holy do not wear white!) Check the weather before you go, but odds are it’s going to be hot, so shorts and a tank top or a sundress are both good choices. It does get windy and sometimes rather chilly at night so be sure to bring a light sweater or flannel shirt and maybe even stuff a pair of jeans in your backpack. And, keep in mind that you’ll be using an outhouse, so maybe keep that cute romper at home. Cowboy hats and baseball hats are not only practical for keeping that sun off your head, but also super cute. 3. Cowboy boots (AKA what not to wear). Yes, your cowboy boots are cute and where better to show them off than at a country music festival? I remember how excited I was to wear my boots to Stagecoach the first time. And they have Dr. Scholl’s inserts, so they’re super comfy. For the first two hours. And then OMG – ouch! I cannot tell you how many girls you will see at Stagecoach walking around in sock feet, carrying their boots. (I’ve been that girl.) Do yourself a favor and skip the boots and wear some cute Converse (with inserts) or some sort of cute walking shoes or sandals instead. (Hell, even flip flops are better than boots, because trust me you are going to have to shower as soon as you get back to your hotel, so just ignore your dirty feet.) But if you absolutely must wear the boots, bring an extra pair of shoes with you to walk to and from the festival. Parking is far. The shuttle stop is far. Uber/Lyft pick-up is far. Everything is far and you will be walking. A lot. You came to Stagecoach to have fun, not to be miserable. Here are some maps to show you just how much walking you’ll be doing. 5. Hydration is key! Be smart and up your water intake about a week before the festival. If you normally drink your recommended six – eight glasses of water a day, try to bump it up to ten – twelve (for reals). And if you drink a lot less, please try to drink at least eight glasses a day the week before the festival. And definitely during the festival. Remember, it’s hot. 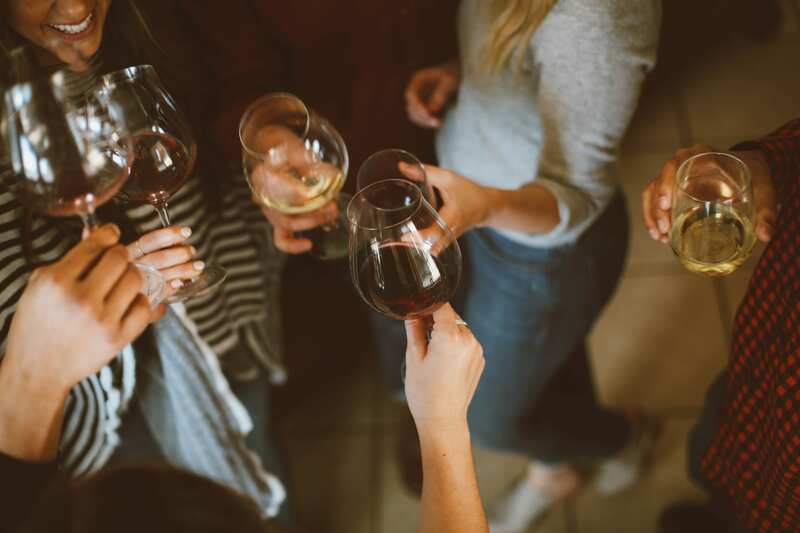 You’ll likely be doing some day drinking. And will definitely be doing some night drinking. (And heck, probably even some morning drinking – isn’t that what Bloody Mary’s are for?) My suggestion is to bring a bottle of Gatorade or coconut water and drink it on that long walk to the entrance (gotta get those electrolytes up) and bring the empty bottle inside with you to refill at the water station and avoid pay five dollars plus for a bottle of water. 6. What to bring to the festival. Medium size backpacks are allowed (and essential), but they can get hot, so I like to bring those lightweight string backpacks that they often give away for free as promo items. Inside be sure to have sunscreen (whatever you do, don’t forget sunscreen! 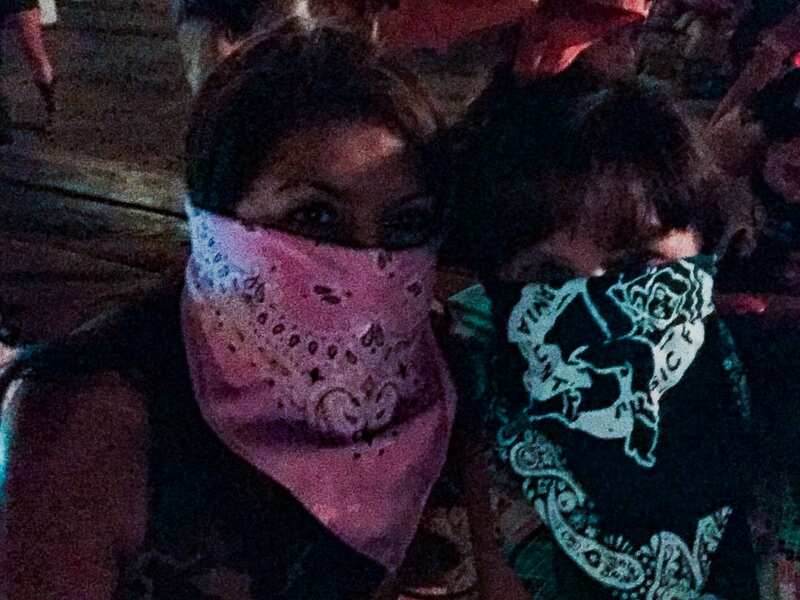 ), your bandana (so important I listed it twice), lip balm (chapped lips are no fun), an empty water bottle (see tip #6), your cell phone (duh), a pre-charged portable phone charger (and your best Instagram smile), and cash/credit/debit card (because food and drinks are expensive). Speaking of drinks being expensive, I would never suggest that you sneak in a flask like this, because it’s against the rules, but I’ve heard that some people do. But you did not hear that from me. And because I know you do want to follow the rules, here is a complete list of what you can and cannot bring into the festival. 8. How to get to the festival. Personally, I always drive to the festival. Last year we splurged for VIP parking ($100), but did not find it very VIP. It was still one very long walk and I will not be doing that again. To park at the lot adjacent to VIP, parking is free (again, here’s that map). The downside to driving, is you have to have a designated driver (it helps if you take turns for this task). If your hotel has a shuttle stop, the shuttle is probably your best bet. You can drink all you want and don’t have to worry about sobering up halfway through the show like me. I’ve heard that Uber/Lyfting to the show is great. Uber/Lyfting from the show – not so much. But if you go in with the mindset that leaving the show is going to be a total cluster, maybe it won’t be so bad. Maybe. 9. Download the Stagecoach app on your phone and plan your day. Show times and stages are listed for all of the artists. You can click on the star next to the artist that you absolutely must see and you will get a notification before they go on stage. Unfortunately, there will be conflicts. You want to see Brothers Osborne (Yes!) and Dwight Yoakam (OMG, Yes!)? Sorry. Dwight plays from 7:40 – 8:40 on the Palomino Stage and Brothers Osborne play from 7:20 – 8:10 on the Mane Stage. You can watch Brothers Osborne and then rush on over to the Palomino to catch the end of Dwight or skip Brothers Osborne this time and revel in the glory that is Dwight LIVE for the entirety of his set. It’s up to you. And trust me, this won’t be your only conflict. But at least with the app, you’ll be able to have a plan. 10. Relax and have fun. Whether you want to walk around and see the vendors (did I forget to mention? 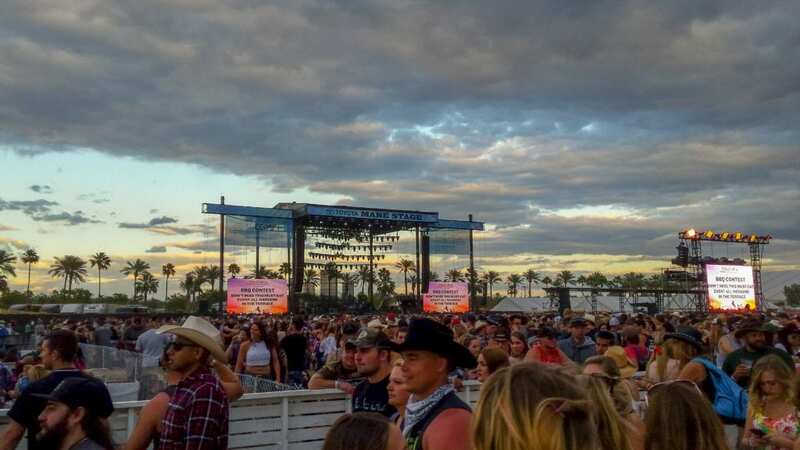 – there are tons of awesome vendors), enjoy the fairgrounds and eat all kinds of yummy food, or just simply focus on the music, there is no right or wrong way to do Stagecoach. Maybe one day you want to get there at 5:00 and just see the big artists. Or maybe you want to get there at noon to check out the rising stars. Or maybe you want to mix it up. There’s plenty to do, but you can’t do everything and that’s okay. Just remember to pace yourself, hydrate (hydrate, hydrate), and have fun. This sounds so fun Rina! 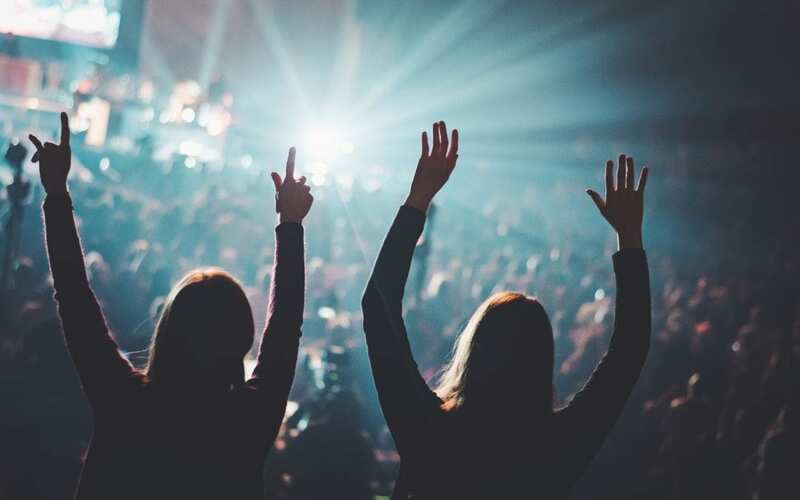 Your awesome, practical, insider tips takes the guess work out and gives a road map for how to have the best experience possible at a festival like this ! Love it! I wish I could go! and Get A Free Survival Guide for Traveling with Kids!! subscribe for 7 TIPS on staying sane while traveling with kids!